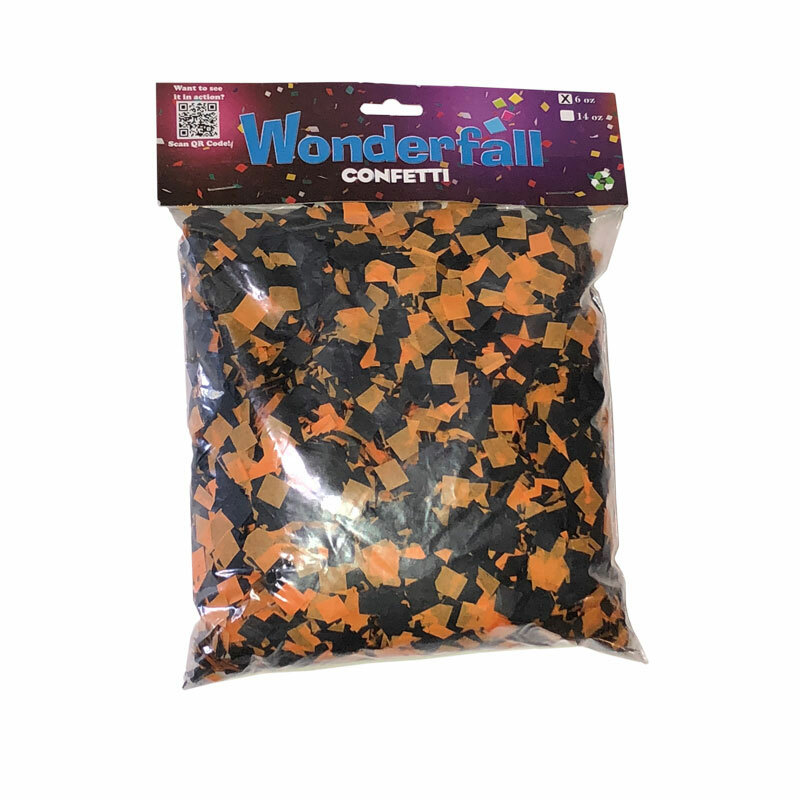 HomeWonderfall JRFalling EffectsWonderfall JR Tissue Confetti – Great for Prom Night ! 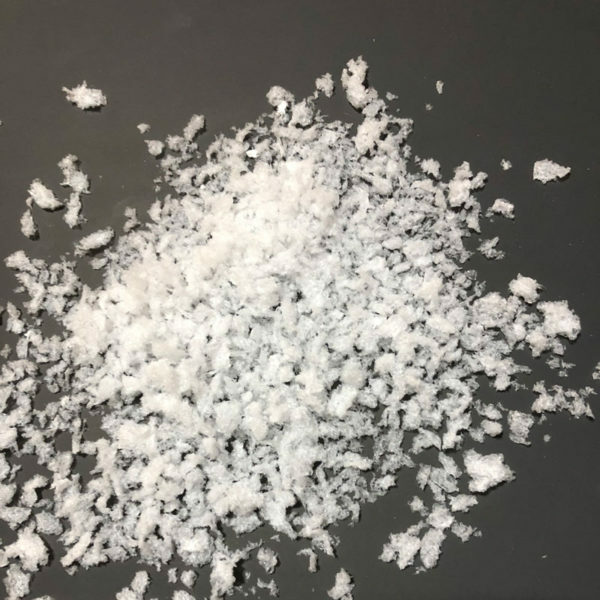 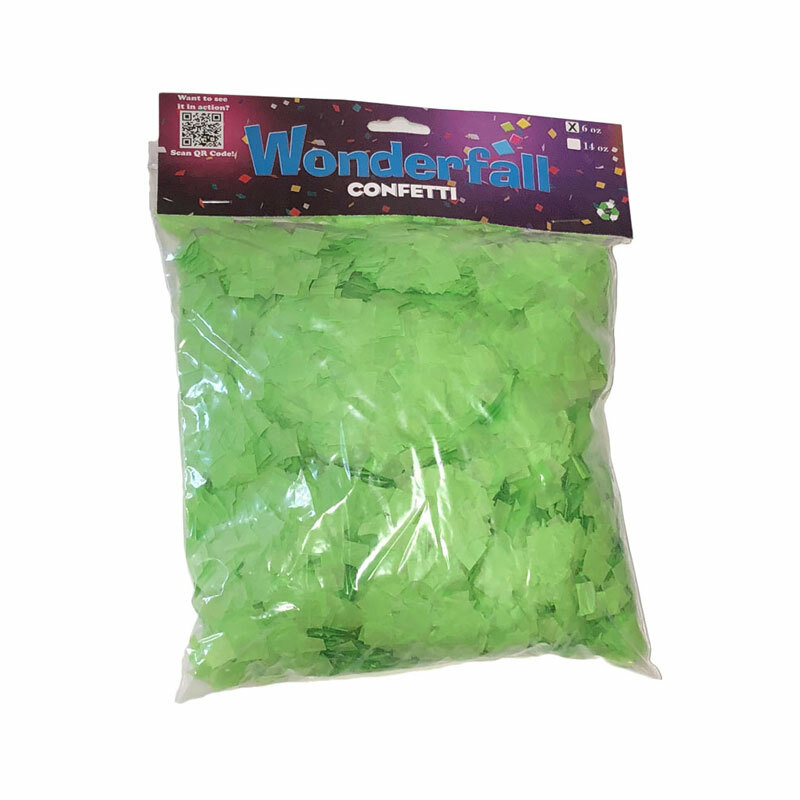 Our square confetti is smaller than half an inch and works great for snow effects (white or colored). 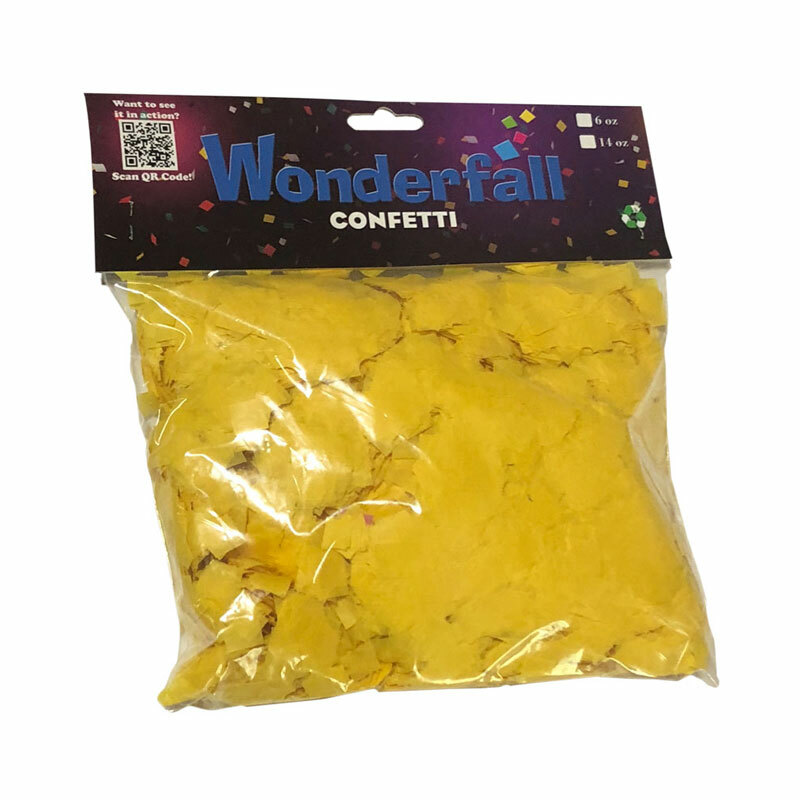 The confetti hangs in the air and slowly floats down for a magical effect. It is the least expensive in our confetti line because it’s square and there is no waste when cutting. 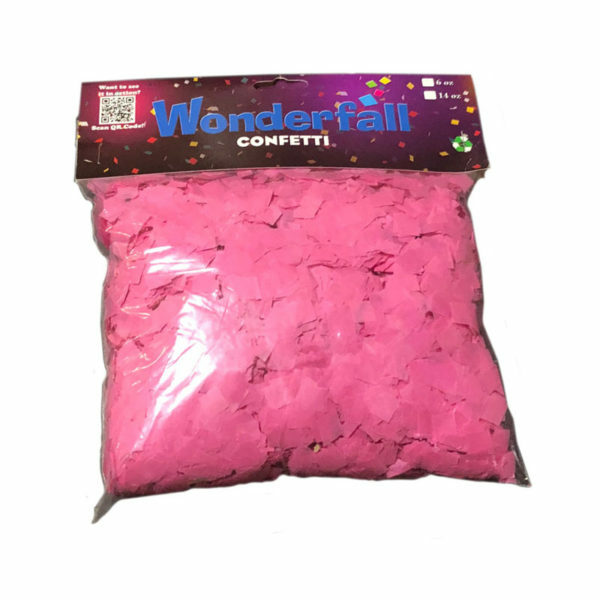 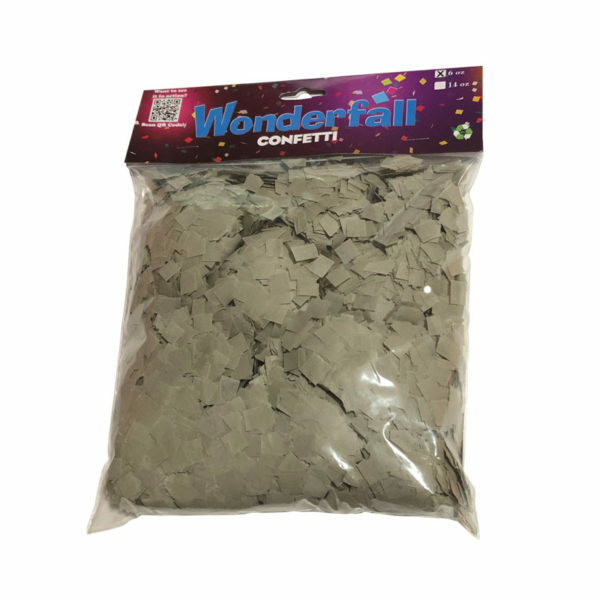 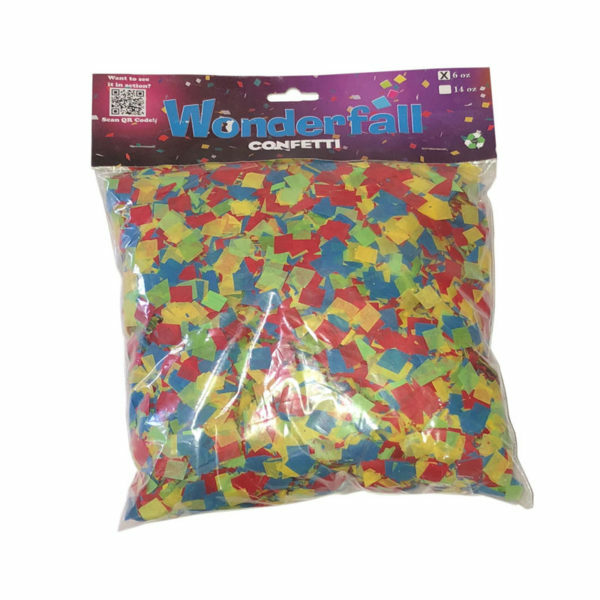 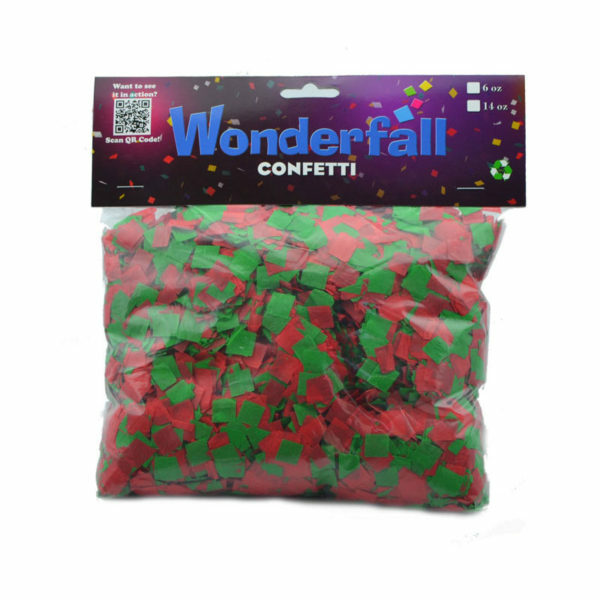 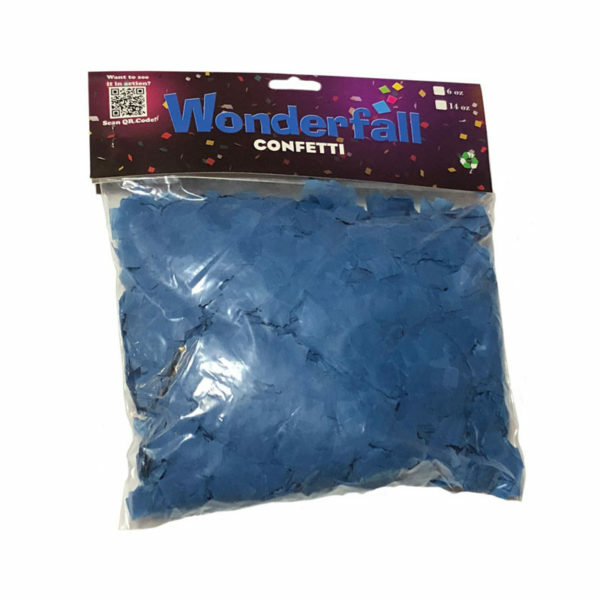 This square confetti is perfectly sized to work Wonderfall JR. and is perfect for parties, Prom, displays, and events. Mix and Match your colors! We have a great selection of colors so you can create your own mix of colored falling effects! 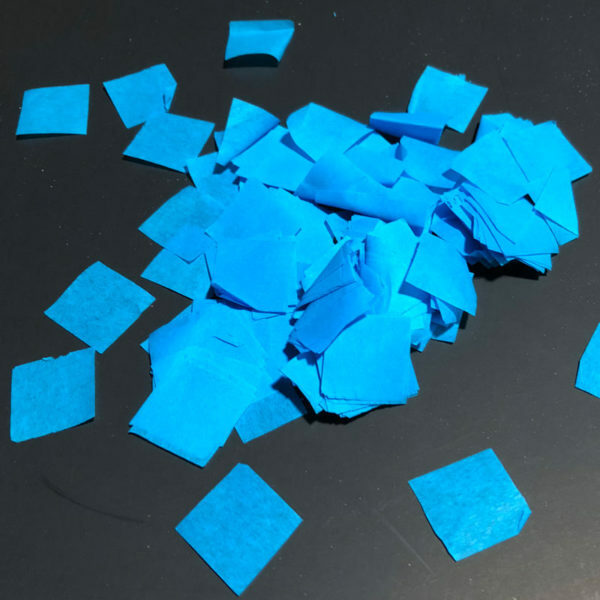 Our biodegradable tissue breaks down fast when in contact with water or rain so you can use outside! 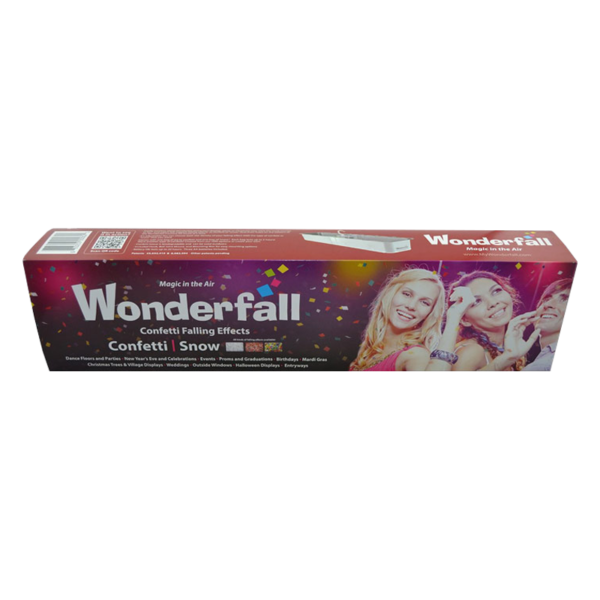 One bag will fill Wonderfall JR. for up to 4 hours of beautiful falling effect. 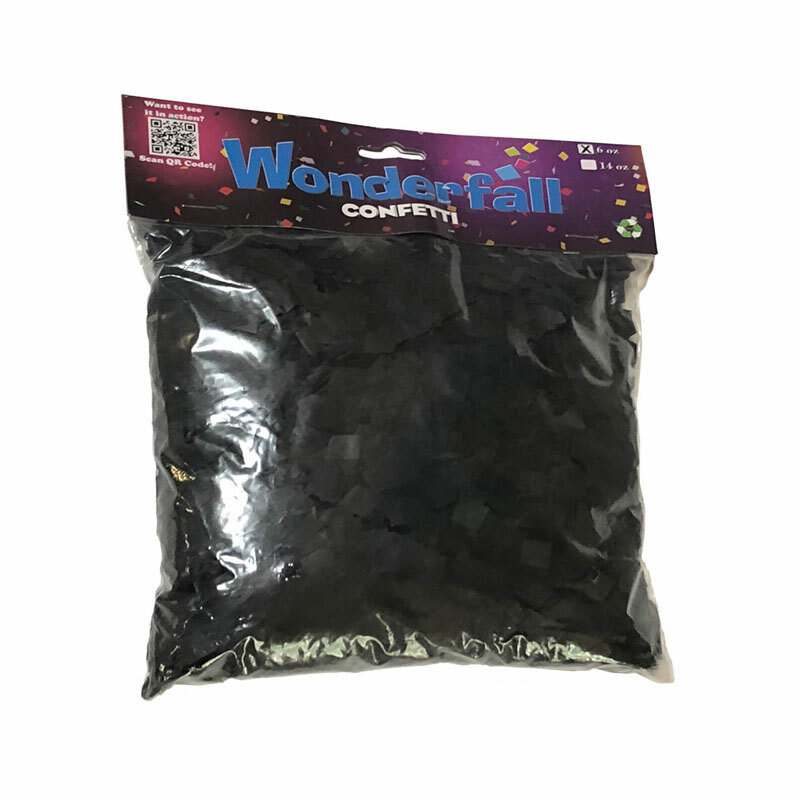 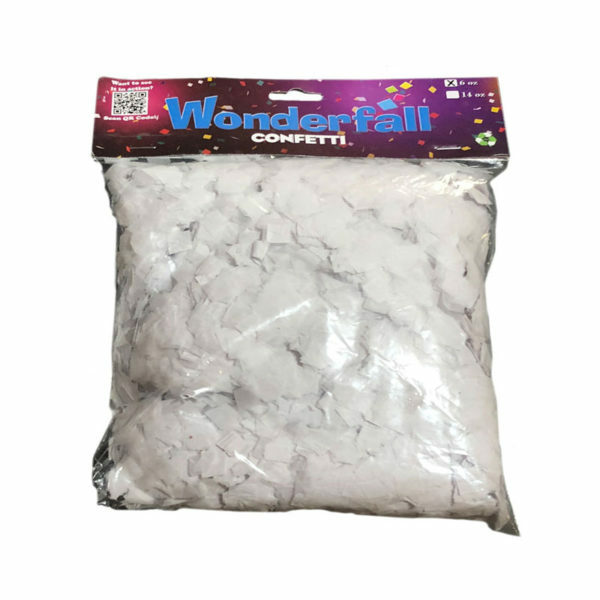 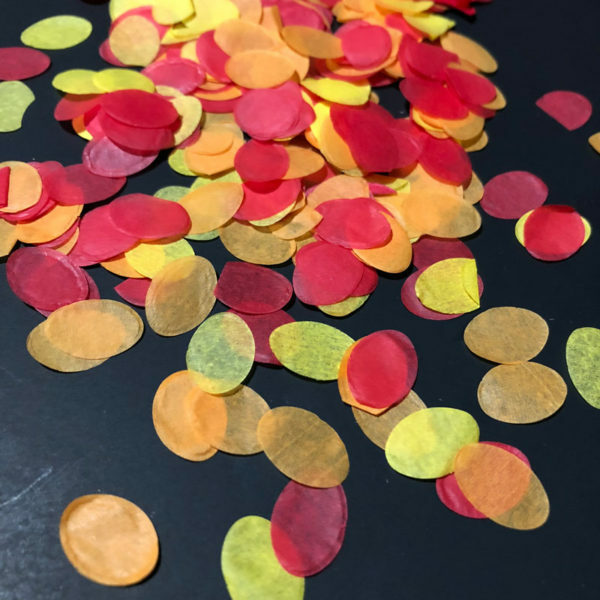 Our square confetti is perfectly sized to work great in Wonderfall JR. and has a beautiful wave-like fall through the air which is perfect for your party, Prom, event, stage or display. 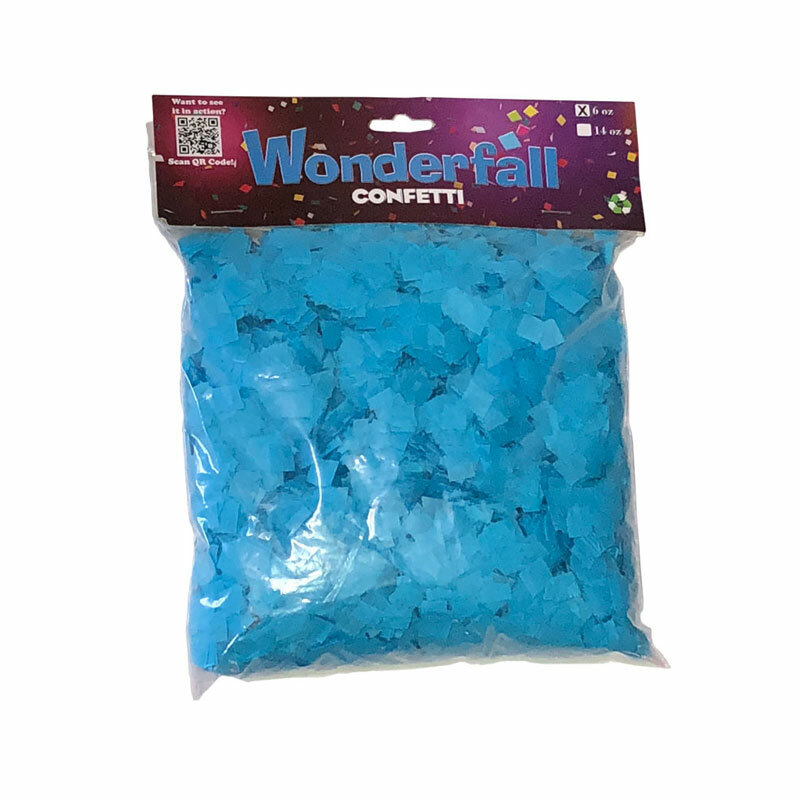 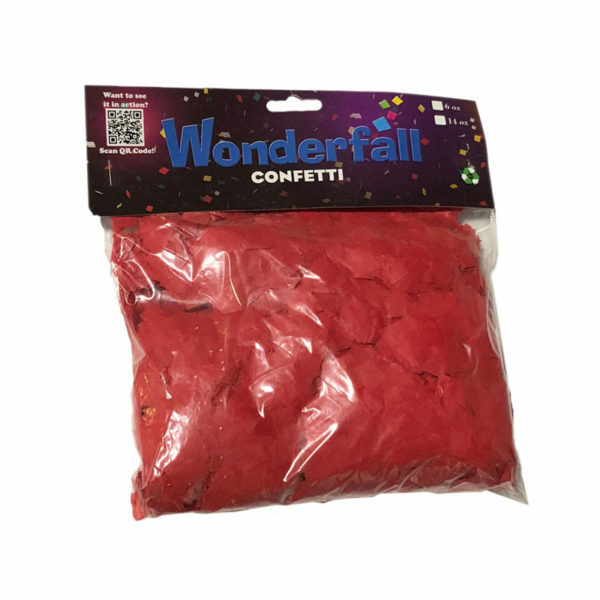 PLEASE CALL WHEN ORDERING WONDERFALL JR. CONFETTI TO SAVE ON SHIPPING! 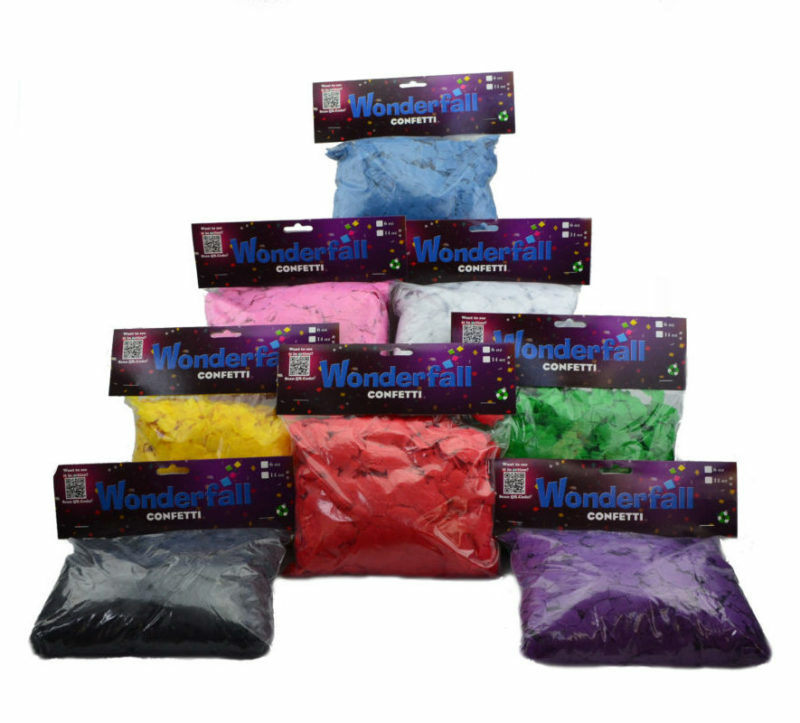 All colors are possible! 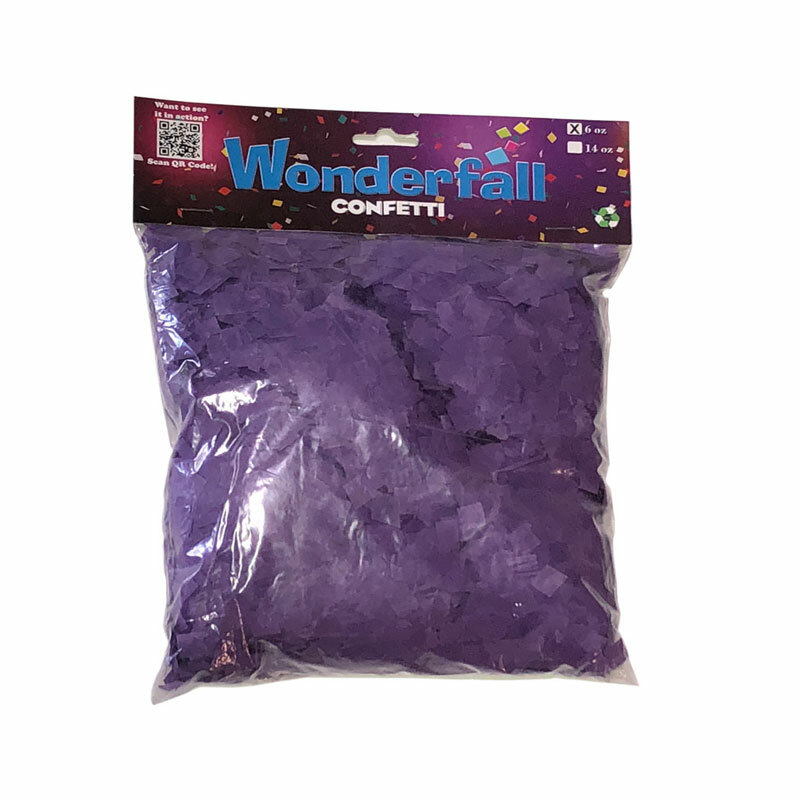 Call to discuss more custom confetti options.